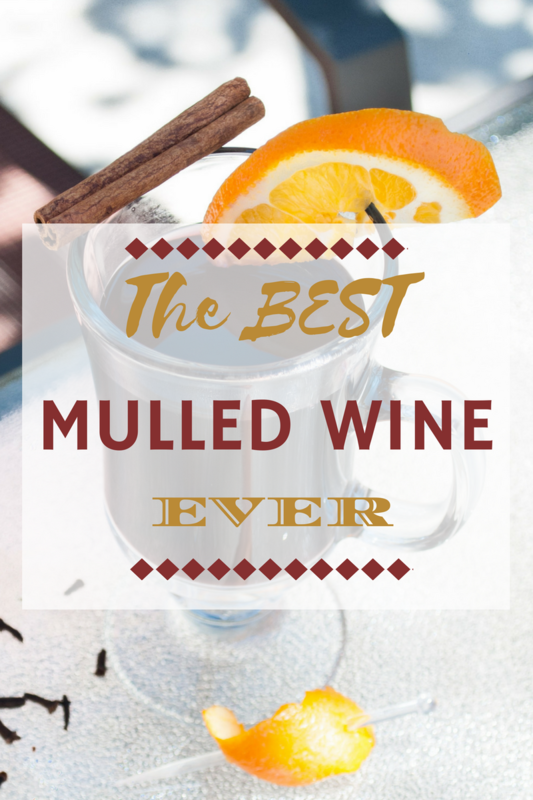 Have you ever had Mulled Wine? You know hot wine.......spices.......citrus. Ever? OK, I will admit.......I was very scared to try it. The thought of hot wine with different spices......well it kinda scared me. A few weeks ago.......or a month ago......OK, no a month and a half ago, a friend of mine and I did a paintnite. It was fun! Another things that I honestly wasn't sure that I'd like, but decided to do my first one about a year ago and have done 3 more since! Love it. Anyways, back to the last paintnite. Well this was the first ever paintnite where they had a raffle. What's even more fun? The fact that I won a bottle of wine, that's what! Since I hadn't opened the bottle yet, I decided to use it in my first ever creation of Mulled Wine. Glad I did! 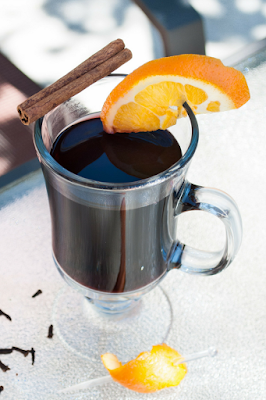 OK, so how exactly do you make mulled wine? It's actually pretty simple, I must say. Get all of your ingredients together. Slice the orange and stick two cloves into one slice and two into another. Add most of your ingredients. Warm it up on the stove. Give everything a good stir. Once it's all ready, add in the Cointreau. Mmmmmm. Be prepared to really like this recipe! I mean it. Don't be fooled like I was and think you won't like it. OH AND YOU KNOW WHAT?!?! Later on in the evening, we poured a glass and stuck some ice in it to cool it down and make it cold. IT WAS DELICIOUS!!!!!!! I MEAN REALLY DELICIOUS!!!! Slice the orange into even 1/4 inch slices. In a pot on the stove, pour in the wine, apple cider, sugar, cinnamon sticks and orange slices (including the slices that have the cloves in them). Heat on medium until it begins to simmer, once you have a simmer, turn the burner to low and let it cook for 30 minutes. Stir occasionally. After 30 minutes of cooking, add the Cointreau, stir and serve. So whether you try it hot or chilled. I say try it both ways! This here is the best mulled wine I've ever had. Granted I've never had Mulled Wine before this, but I can't imagine any other Mulled Wine being better!